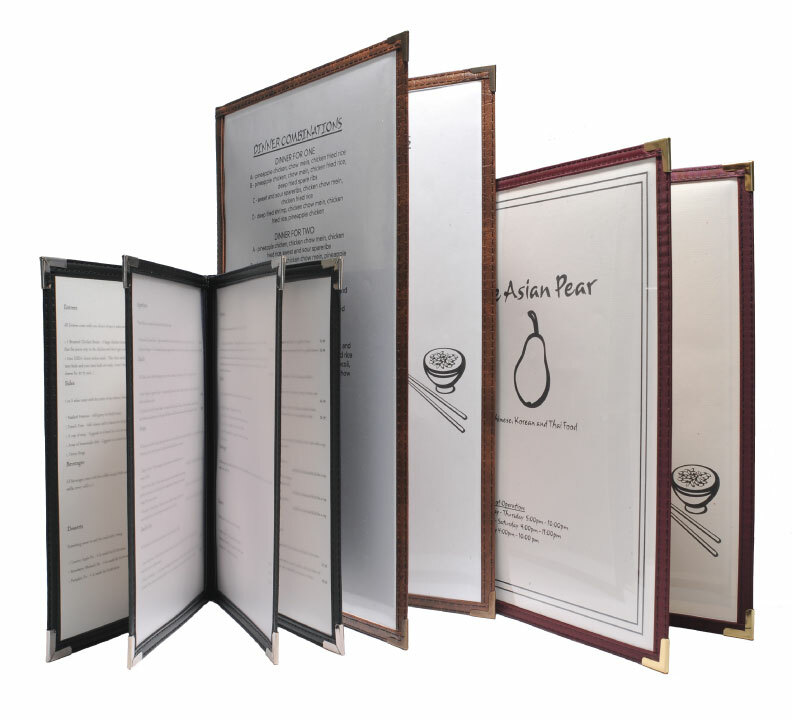 These finely crafted menu covers are made of clear or frosty 9.5 mil. rigid plastic, with a double stitched edge around the outside and down the edge of the pocket. The turned edge material and the spine material are double folded for strength and appearance. These covers are available in either Nylon or Vinyl trim materials in many colors and are completed with metal corners in many styles and finishes. Custom sizing is available.